Welcome to BikeXchange – Established in 1996! Hey everyone! My name is Sam, and I’m hooked on cycling! I’m 29 years old, and I’ve been riding actively for the past five years. Before that, I just didn’t see the appeal of it. I’ve achieved some excellent results through cycling, and I want to share my journey with you because I believe that everyone can and should do it as well. 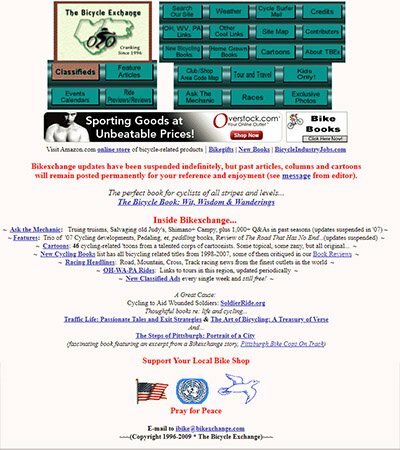 Bikexchange.com is one of the oldest bicycle related sites still online today. It was first founded by Jim Joyce as a place for him to write down his bike related thoughts and collect some great links, how-to articles, cartoons, and much more. In December 2017, BikeXchange.com changed its owners! We are doing our best to bring it back in 2018 and to gather and share more and more valuable information. Well, take your time here. You will find everything you need to know about the mountain and road cycling. We include not only bike reviews but bike guides, how-to’s, general articles and even bike cartoons. If you are looking for a great new bike (Who isn’t? ), you’ll find valuable information on this website! Where Were We in 1996? Well, a lot has changed. 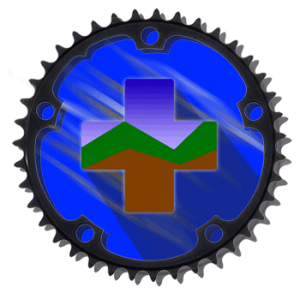 BikeXchange was one of the pioneers in the cycling blog industry. It covered mainly entertainment news, ask the mechanic section, cartoons, race info, and much more. You can find those bicycle cartoons here. Thanks to every contributor who has invested their time and effort to create this funny section of bike cartoons. You can see the bike cartoons here. BikeXchange also gathered several bike books. We preserved them only as a matter of preserving a chunk of our history. You can read those here. BikeXchange used to have an up-to-date bike events calendar which had its place back then. However, we believe that there are much better bike events pages online nowadays so we don’t cover it anymore. Ask the Mechanic was a pretty good series of articles where readers had a chance to ask Andy Wallen any questions they had. We believe that today you can easily find solutions to your problems on Google, so we won’t update this section in the future. BikeXchange used to gather tour operators all over the globe. Most of them are still active so you might want to take a look at their offers. It is an old list so you know that these sites have heritage and experience to fulfill your needs on different cycle tours. You can check the Cycling Tour Holiday list here. There was also a section for kids, race information, local bike shops and an area code map. However, we can’t preserve everything because it requires a lot of time and effort to update. On the other hand, our focus has changed and we believe that we provide more information doing what we do now. We want to be your favorite bike buying guide, from zero to thousand! There are plenty of things to know before you buy a bike. 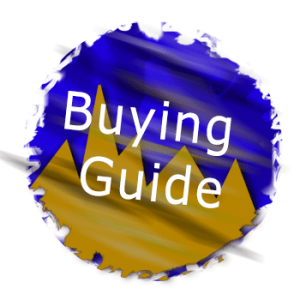 We will enlighten you through all of these guides for different types of bikes. 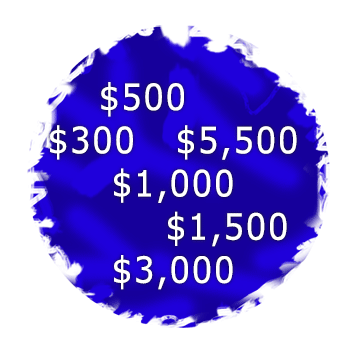 In the end, you will know pretty well what you want and that will make your buying decisions easier. We will even show you the best bikes and if you like them, you can choose them at bike shops. It’s a win-win situation. If you already have a bike and want to get better in some area, we can help you. We have guides for bike sizing, fitting, skills, and so on. We also have info on how to choose the right trajectory, get better going uphill or downhill, and so on. This is just a chunk of our cycling guides. For the beginning, check out bike size charts. You don’t need to always fix the bike by yourself but you need to know some basics. What happens when you get a flat tire far away from home? It’s pretty easy to fix it by yourself so that’s just one skill we teach you. If you can help yourself, you’ve done well. Imagine if you can help others, then you’ll earn some good karma as well. Road bikes are the most popular type used for training. If your heart skips when you see a road bike, you will find great reviews and general articles. There are many opportunities to join beginner road bike races and become an expert one day. Hybrid bikes are gaining popularity fast because of their versatility. You can use them to ride on tarmac or on gravel. That’s something you can’t do well on road bikes and mountain bikes can be an overkill. There is also a “commuter bikes” category under the hybrid bikes which are great for commuting on city streets and through parks packed with gravel and high curbs. Fixies and single speeders, which we like to include under hybrid bikes, are also gaining popularity. If we find some great fixie bikes, we will make sure to include them. Mountain bikes are great for nature lovers who want to experience all of the seasons throughout the year. You can get to places you can’t reach on any other bike. There are three different types of mountain bikes – Hardtail (bikes with front suspension), Full-suspension (bikes with dual suspension) and fat bikes (bikes with oversized tires for better handling on sand, snow or muddy terrains). We cover all of them. Touring bike reviews are not our priority but we’d like to write about them as well. If you can write about those and want to participate in our mission, write to us. We researched some of the most popular bike brands you can find on roads (and in forests). Learn about their history, what bikes they make, what technologies they use, what their top-line models are, and much more. People are often afraid of some bike brands because they aren’t quite popular. However, we believe that there are many great bike brands which you should not worry about. We are updating and adding content weekly, and you can read it below. We have huge to-do lists to achieve our main goal – get more people on bikes. Become a part of our journey in this interesting world of cycling. We’d suggest you start from the article, “Which bike to choose?” but it’s not ready yet 🙂 It will be quite a long article helping you to choose the right type of bike for you.